Devezin Cosmetics, a cosmetic line started by Eric Devezin, is looking for Fall/Winter Press Interns in LA’s Fashion District, Entertainment and Beauty Biz. The Press Intern is responsible for organizing, managing, packing and retrieving samples to the top editors and magazines worldwide and other corresponding tasks. *must be eager, positive and open in attitude and schedule. This is a rewarding experience, the intern will finish the internship with a full working knowledge of how a small cosmetic company operates and a thorough understanding of a busy press season functions at a growing publicized label. 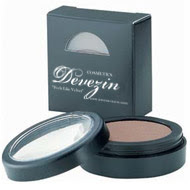 Eric Devezin created Devezin Cosmetics in 2010. After obtaining degrees as a stylist, Eric entered the beauty industry, working for MAC and Makeup Forever. Makeup artistry started as a personal endeavor, but his work quickly grew a cult following and a collaboration with estheticians Kelly Singelyn and Suzanne Hill, of Joli Spa Inc. Immediate press attention followed, KTLA 5, Daily Breeze, Paparazzi.com and with a story in Blogger's Cafe about the launch, Devezin Cosmetics will soon be carried at top retailers worldwide. Eric has collaborated with Ada Azubuike and D-M-A-X for Inspire Magazine, and occasionally does Pop ups for charities such as Opening Ceremony and Beverly Hills Caviar. 944 Magazine recognized Eric as one of their “New Talents” and was recently nominated for the 2011 Shallon White Makeup Artist of the Year Award. Devezin Beauty is a 2011 finalist for the coveted Inspire Magazine Vol 82.